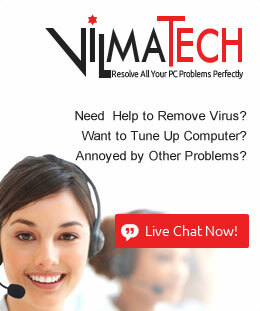 VilmaTech.com > VilmaTech Blog > What is Namecheap? Namecheap is one of the best options when it comes to web hosting and domain services. It was founded all the way back in 2000 by Richard Kirkendall. In addition to domain registration, they offer multiple hosting services for people to choose from, including Shared Hosting, WordPress Hosting, Reseller Hosting, VPS Hosting, Dedicated Servers Hosting and Private Email Hosting. And recently Namecheap even unveiled a brand new VPN service to help people stay safe online and it sells SSL certificates and more. So, it’s an all-in-one website and security solution. You can buy your domain, host your site, purchase any necessary add-ons, and secure your data all in one place. Namecheap utilizes the classic cPanel for hosting account management and it offers secure, reliable, and high-performing hosting plan for just $2.88/month. As the top hosting service, it guarantees that your site will be up 100% of the time. Signing up for Namecheap service is simple. Its website is clearly organized with lots of useful information and means of communication, including live chat, knowledgebase, and a ticket system, but no phone support. However, the service does offer a rock-solid money-back guarantee, meaning that you’ll get a full month to see if their service is right for you. NameCheap is a big name in the hosting industry and you surely can start your journey from here.